Various Pack Sizes. Supplied in continuous lengths. 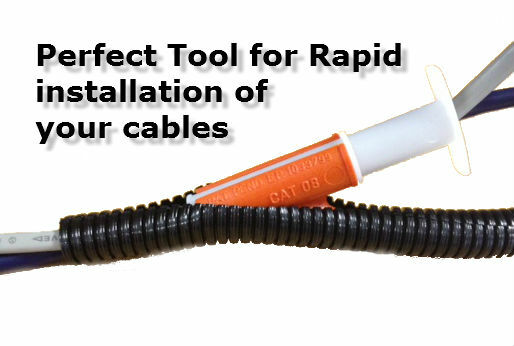 Lightweight convoluted tubing simple to install, is designed for cable bundling, mechanical protection. Polymide 6 is highly resistant to all hydrocarbon based oils and fluids and many types of solvents. Corrugated tubes are made of Polyimide 6, which is modified with a special heat stabilizer, in order to achieve a particularly high heat deflection temperature. Hilcon-L corrugated tubes are both halogeneous, and cadmium-free, and UV steady. Halogen Free and Low Smoke. Nylon 6 is far tougher, has better crush resistance and has a higher tolerance to all the elements than the far more commonly utilised Polypropylene Conduit. All in all this results in better value for money, tougher harder wearing and ultimately a far longer lasting Conduit Tubing. Certain sizes of this product are available to Buy Online. For our Full size Range - please see below PDF Spec sheet or contact our sales team.